Mounting screws/bolts are not included. 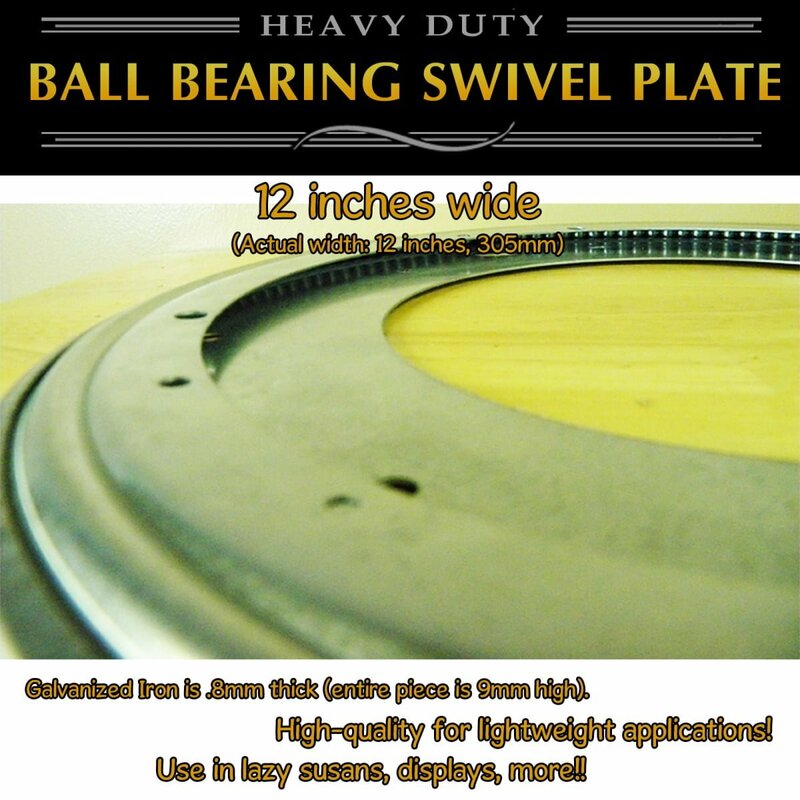 Note that these swivel plates are tight upon arrival and will loosen up and swivel easier after put into use. For stools, chairs, tables, display cabinets, station lines, etc. 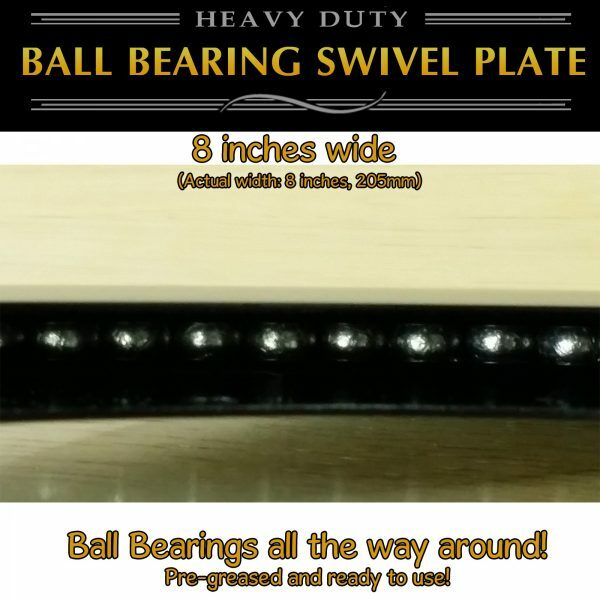 This lightweight ball bearing swivel plate can be used with display cabinets, station lines, lazy susans … anything you need to swivel easily like a turntable. The possibilities are endless! 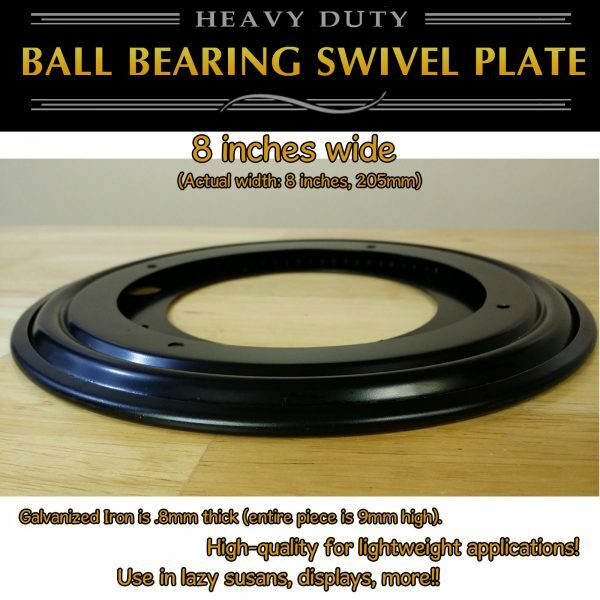 This plate is a thin profile and is perfect for a lazy susan application where you need a free-flowing spin with very little weight. It will swivel and turn by hand easily. 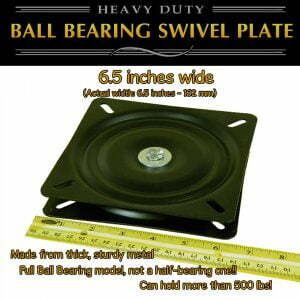 This is a “full-bearing” plate. 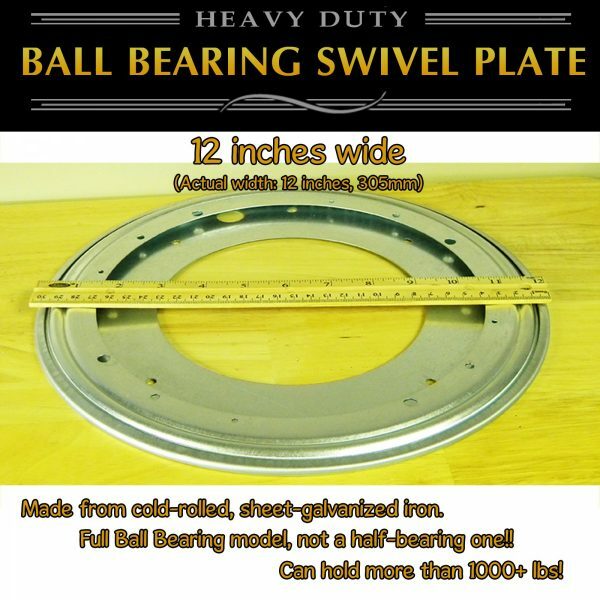 Don’t be fooled by cheaper “half-bearing” plates. What’s the difference? 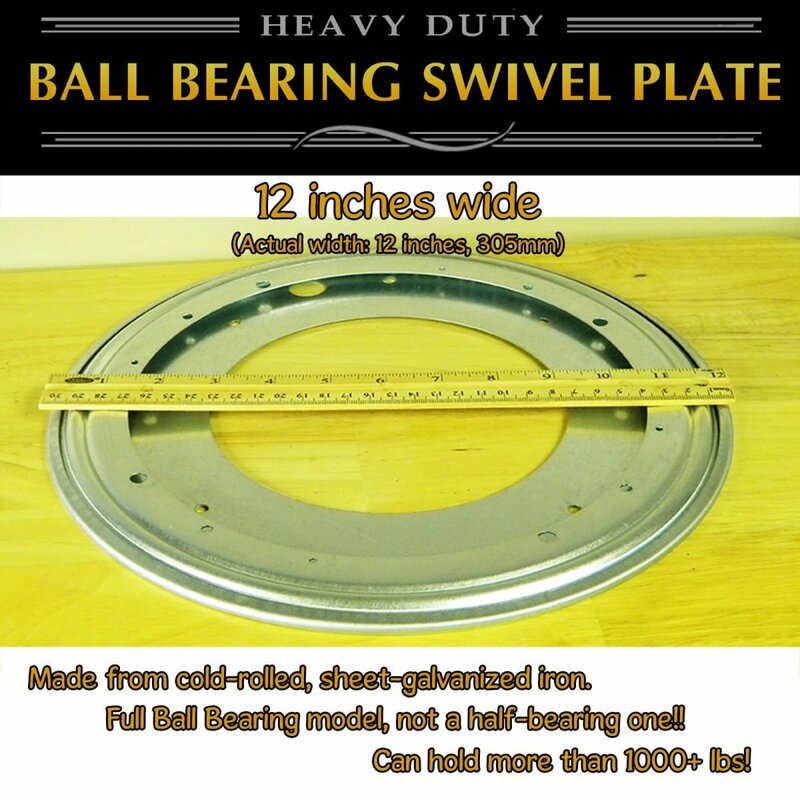 “Half-bearing” plates may only have 8 actual ball bearings around the plates, each in their own pocket. 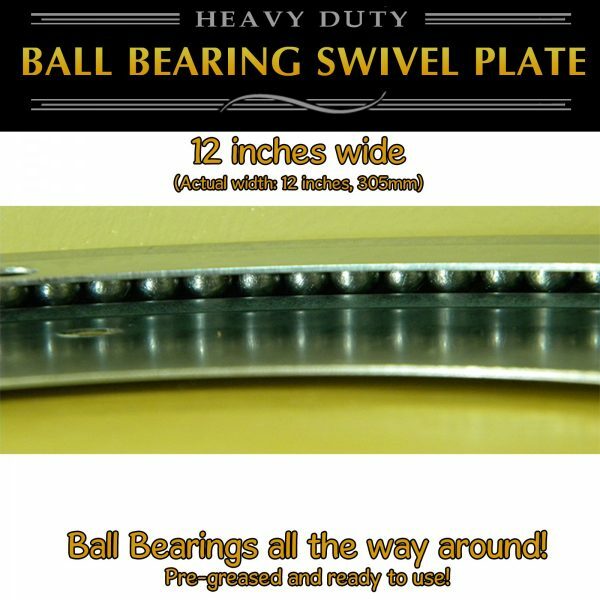 But a “full-bearing” plate has ball bearings completely filling the channel around the entire plate. Why is this important? 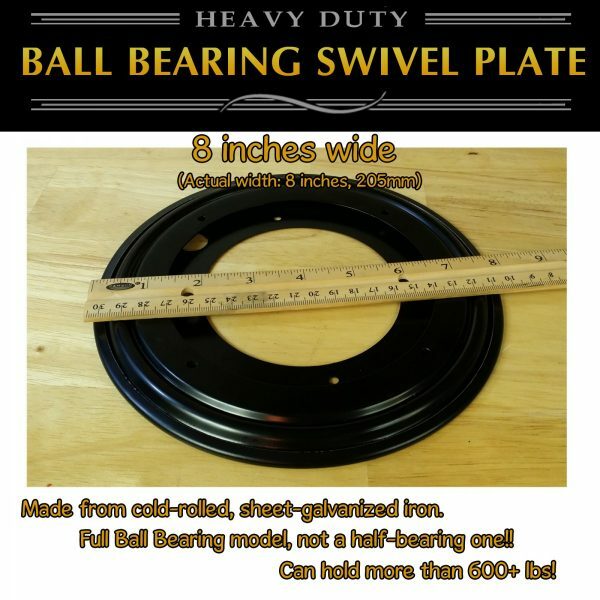 It makes the swivel plate sturdier and it can hold way more weight, and it’s less susceptible to uneven weight distribution. 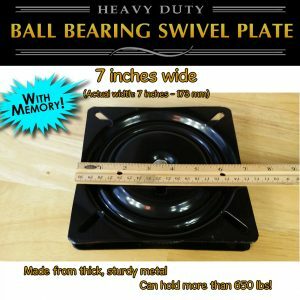 This swivel plate can hold more than 1000+ lbs and still swivel easily (others may claim more, but I wouldn’t be so sure).